The newly-launched Christie CP2208-LP laser phosphor cinema projector is making waves among exhibitors in China, who are being drawn to its many features, seemingly tailor-made for the Chinese market. Delivering up to 11,000 native lumens of brightness for screens up to 35 feet, the 3D-capable Christie CP2208-LP is virtually maintenance free with no lamps to change, offers a lower total cost of operation, and provides a lower carbon footprint for theater owners. It is available as a complete system with the optional Christie IMB-S2 integrated media block and also works with other, popular Series-2 IMBs. It delivers superior content flexibility with its ability to display DCI content, alternative content, 3D content and content developed at high frame rates​. “Christie is a leader in projection technologies, renowned for delivering bright and colorful visuals to the cinema space. 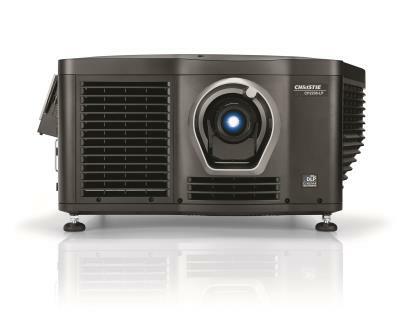 As an exhibitor, I’m very impressed by the performance and capabilities of the Christie CP2208-LP laser phosphor cinema projector. Not only does it deliver remarkable visuals, its attractive cost of ownership and elimination of the need for lamp maintenance makes it a very compelling product that deserves serious consideration for exhibitors with smaller auditoriums,” said Xingsheng Jiang, General Manager, Red Carp Digital Cinema Group. 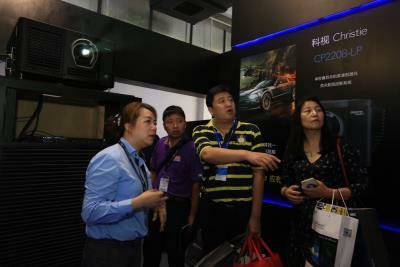 Christie’s valued partner Beijing Donview Technology Development Co., Ltd (Donview) has played an important role in generating strong interest in the CP2208-LP by staging a number of roadshows across China since July. So far, the events had been held in the cities of Chongqing, Guangzhou, Fuzhou, Wuhan, Hefei and Changchun to enthusiastic turnouts by cinema owners and industry players. Attendees were not only provided with comprehensive information on the benefits of RGB laser and laser phosphor illumination, they also witnessed live demonstrations of the CP2208-LP featuring 2D and 3D content. Visitors at BIRTV can catch the Christie CP2208-LP in action at booth #2A236 from now until Saturday, and experience bright and lifelike visuals like never before. Besides laser phosphor illumination, Christie’s RGB laser projection technology is rapidly gaining followers in China. Producing the brightest images, the purest colors and the best 3D visual experiences, it represents the pinnacle of laser-illuminated projection. To date, major cinema chains such as Shanghai Film Group, Wanda Cinema Line, Oscar International Cinema and Suning Cinema have deployed Christie’s 6P laser projection system, as well as the similar RGB laser projection system with enhanced wavelength diversity, to counteract speckle on silver screens.